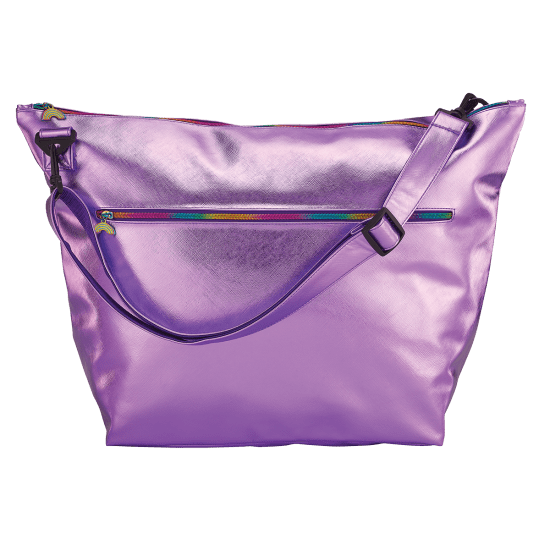 Weekend trips are even more fun when you have a cool bag to store all of your stuff in. 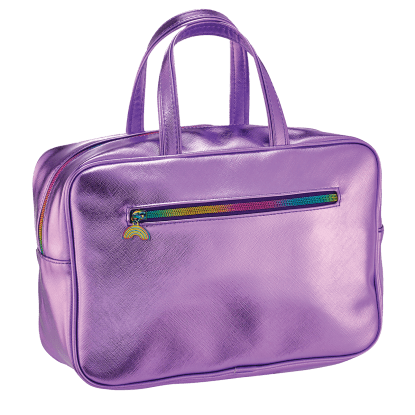 Our purple metallic weekender bag is anything but boring. 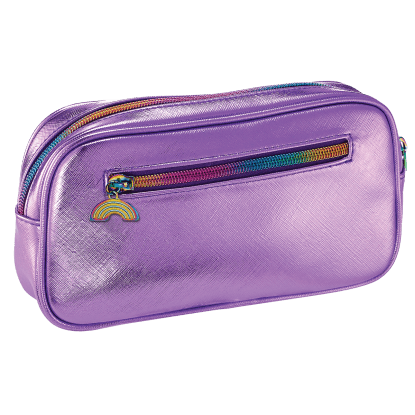 Made of a shiny faux leather and with a fun rainbow-colored zipper, kids of all ages will love it!